In October 2012 on a trip to Vignoni in Italy I took some pictures and a video around some of the factories and the workers involved in producing Vignoni accordions. I hope it gives you some insight to the manufacture of these accordions. They are all made by hand in Italy. 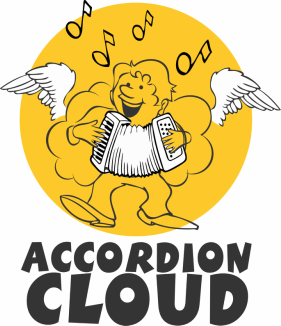 There are thousands of parts to each accordion and there is a tremendous amount of labour, skill and thought that goes into each accordion. It has come a long way since it's humble beginnings as the 'Cheng' in China around 4500 years ago. A short video of some of the work involved in making a Vignoni accordion. A photo gallery tour of the accordion factories. The Cheng was the first known instrument to use the principle of the 'free reed' or the loose reed that vibrates due to pressure caused by an air source. You can see one of these in Castelfidardo's 'Civico Museo Internazionale della Fisarmonica' ( Accordion Museum ). It was in Paris on the 6th of May 1829 that a Viennese of Armenian origin called Cyril Damian, patented the first accordion. This was a small four-octave instrument that begin the revolutionary history of the instrument. The original documents for Cyril's patent can also be found in the museum in Castelfidardo.